for $1,400,000. This 7,897 square foot building was built in 1980 on a lot size of 700 X 200. 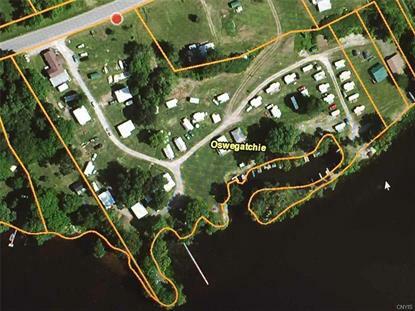 Home and business on Black Lake, Camp Carol is a fully operational campground on 6.7 acres, 711 ft of water frontage, with 10 new cottages each with their own bathroom, kitchen, heat, and air conditioning, 27 RV hookups, 2 boat launches, a private protected harbor, docking for 35 boats, shower house, two fish cleaning stations, office, store/bait shop. The home is a beautiful 3 bedroom ranch home with 1600 sq ft of living space and features a drive out basement. The office is attached to the house. Each cabin sleeps 5-8 people. Cottages and RV sites are at full capacity every summer from May through September and are booked 12 months in advance year after year. See business website for more details.